Customers who preordered Apple's newly redesigned 27-inch iMac have begun receiving notifications that their order has shipped and will arrive before Christmas. A number of AppleInsider readers have received word from Apple that their 27-inch iMacs, ordered when they first went on sale in late November, have shipped. Readers said their doers have shipped from Shanghai, China, and are estimated to arrive on Dec. 18  one week before Christmas. These customers indicated that their estimated shipping dates are earlier than was originally indicated by Apple once the orders were placed. The 27-inch iMac is expected to be in limited supply, as estimated shipping times quickly slipped after the all-in-one desktop went on sale at the end of November. As of last week, new orders are now scheduled to ship in January. 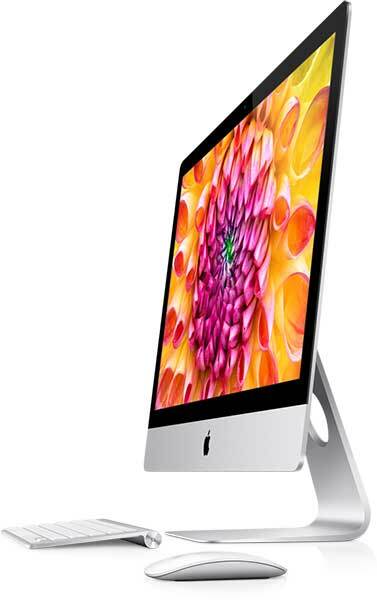 Meanwhile MacMall and B&H Photo tell AppleInsider that they have received stock of Apple's 2.9GHz 21.5-inch iMac, which they are ready to ship immediately ( 1, 2 ). Apple's online store still lists lead times of 7 to10 business days for this model. MacMall offers a $5 discount, while readers looking to purchase their new 21.5-inch iMac with Apple's 3-year extended protection plan can save $108 off Apple's retail price when taking advantage of B&H's Buy Together and Save promotion, which also throws in a free copy of Parallel's Desktop or FileMaker Bento. The redesigned iMac has an aluminum that is 5-millimeters thick at its edge and also features a reengineered display which Apple claims reduces reflections by 75 percent. Speed has also been increased thanks to new quad-core Intel silicon and NVIDIA GeForce graphics processors, the latter of which is said to deliver up to a 60 percent boost in performance. The new iMacs can also be upgraded with a Fusion Drive, a hybrid hard drive solution that combines the performance of solid-state media with the capacity and affordability of a hard drive. Apple solution couples 128-gigabytes of flash memory with a standard hard drive to create a single storage volume that intelligently manages frequently-used files and programs to optimize performance.